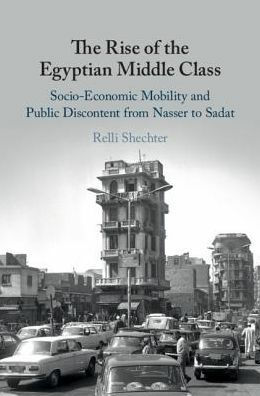 The Page 99 Test: Relli Shechter's "The Rise of the Egyptian Middle Class"
Relli Shechter's "The Rise of the Egyptian Middle Class"
Relli Shechter is Senior Lecturer at the Department of Middle East Studies at Ben-Gurion University of the Negev, Israel. 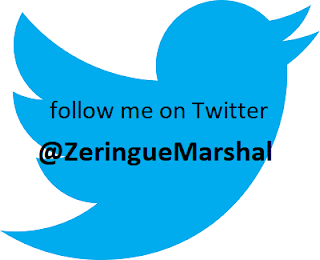 He trained as an economic historian and received his Ph.D. from Harvard University. He is the author of Smoking, Culture and Economy in the Middle East: The Egyptian Tobacco Market, 1850–2000 (2006). The Rise of the Egyptian Middle Class examines a puzzle in recent Egyptian history. During the 1970s and early 1980s, Egypt experienced swift economic growth resulting from a regional oil boom. Oddly, this economic growth hardly registered in Egyptian public discourse, which continuously claimed that the country was experiencing multiple economic, social and cultural crises. In this book, I offer several explanations to this puzzle at the core of which was an expanding yet struggling middle class whose members strove for respectable lives with only partial success. In the chapter "Crisis of Supply in Every Household" in which page 99 appears, I discuss a growing citizens' dissatisfaction with the Egyptian state. Such dissatisfaction emerged as the Egyptian public increasingly felt that the state was breaching an existing social contract—an implicit agreement between the society and the state. As this chapter demonstrates, the actual historical reality was more complex. Critics across the political and cultural spectrum denounced the rising food prices and the housing shortages. Nevertheless, the Egyptian state progressively spent more on distribution and subsidies than in the past. The subsidies were a debatable means for mitigating inflation, especially among the most needy in the cities and rural areas. However, the January 1977 “Food Uprising” demonstrated that withdrawing from such a state commitment with little public discussion and under international financial pressure was unacceptable to many Egyptians (p. 99). "Informal housing" was rampant and became normative, despite the public’s demands that the state intervene and regulate construction. In general, the local standard-of-living improved concurrently with the growing social frustration with state provisioning. Egyptian citizens strongly protested against the curtailing of their economic rights or state distributive policies and did so in the form of violent street protests because their political right to demand state accountability hardly existed. Despite much official talk about democratization during the 1970s and since, little such process had actually taken place. There had been a direct line between the January 1977 Food Uprising the January 2011 protest in Egypt associated with the Arab Spring. In both cases, the middle class' protests had not been simply about hunger. Rather, they were about a demand from the state to deliver on economic citizenship, or to relinquish on state authoritarianism (change the existing social contract). Such a demand, while currently latent under President al-Sisi's regime is still very much with us today. Learn more about The Rise of the Egyptian Middle Class at the Cambridge University Press website.